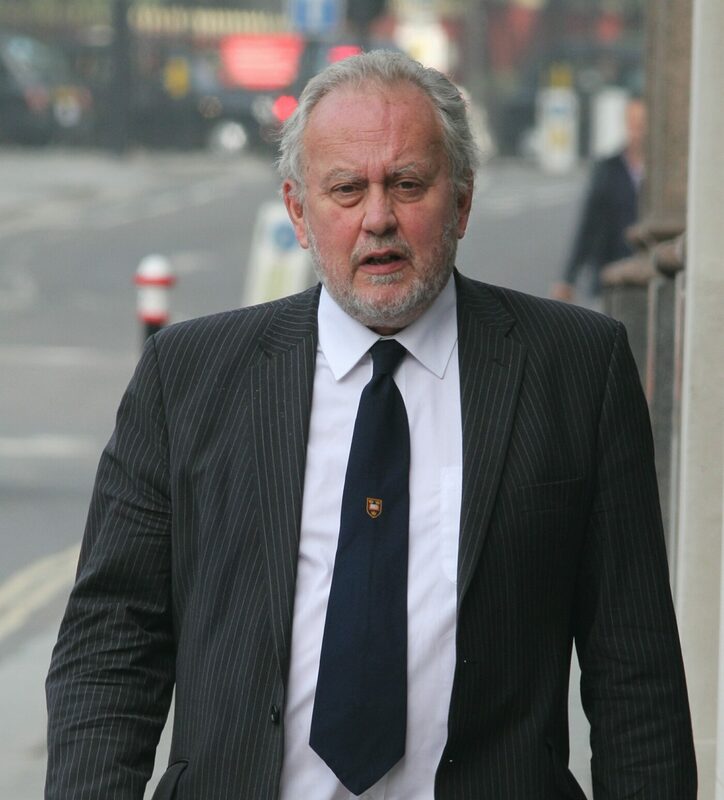 A world-renowned conservationist took part in a £60million tax dodge through schemes tackling climate change and the spread of HIV, a court heard. Professor Ian Swingland OBE, 69, allegedly took part in a three-year scam which helped wealthy investors avoid tax on £170m worth of income. Swingland founded the Durrell Institute of Conservation and Ecology in 1989 at the University of Kent, and is now a world-leading research facility into biodiversity, communities and sustainable development. He was given his OBE in the 2007 birthday honours for services to conservation. Anthony Blakey, 65, John Banyard, 67, Martin King, 54, and Andrew Bascombe, 58, are also accused of involvement in the scheme. Julian Christopher QC, prosecuting, said: ‘The central allegation in this case is that these five defendants were all involved in different ways in the promotion of a series of dishonest tax schemes. ‘They were opportunities to invest in research designed to counter-act the effects of climate change and to find a cure for HIV. ‘They were designed to be attractive to people who had a large amount of income that they would rather not pay tax on. Mr Christopher claimed that the scheme was ‘sheltering’ investors’ money so that they could avoid the then 40% income tax rate. ‘As you would be saving £40,000 by not having to pay tax on it even if you had to pay say £25,000 for doing so you would still be better off. The prosecutor explained that many people who make their living by ‘providing high net worth individuals with ways to shelter their income and reducing their tax bills’. ‘It is perfectly legal to make a living in this way, helping people pay less tax, provided that the ways which are devised of reducing a client’s tax bill are genuinely legitimate and do not rely on telling lies about what is actually going on. Jurors were told these defendants had used ‘lies and deceit’ in the schemes. ‘This case is concerned with the people whose role was to devise, sell and support the schemes. ‘No doubt the clients believed when they made use of the schemes that they were entitled to make claims. The court heard that in the early 2000s Blakey and Bascombe had been involved in ‘presenting the financing of films’ as a way of reducing investors’ tax bills. King was also said to have been involved in a film scheme by 2004 while Banyard joined them as a ‘management accountant’ to Blakey that year. Blakey described his sales team in 2004 as ‘converting from film moguls to Eco Warriors’ as the focus shifted, jurors were told. Swingland, a ‘distinguished’ professor, leant his support to the schemes involving environmental research even though he ‘must have realised’ depended on lies, it is said. He founded the Durrell Institute of Conservation and Ecology in 1989 at the University of Kent, and is now a world-leading research facility into biodiversity, communities and sustainable development. Swingland was given his OBE in the 2007 birthday honours for services to conservation. Mr Christopher added that the alleged amount of tax avoided was ‘over £60million’. This was supposedly done through ‘sideways tax relief’ in which losses from one business are offset against profit from another, resulting in what appears to be less profit being made. These schemes were said to have been trading in carbon credits – earnest through the removing of carbon dioxide from the atmosphere. ‘The business idea was that money would be invested in research into reforestation, in other words growing trees in areas where they had been cut down. This was a ‘suitable’ plan as it meant lots of money would be spent at the outset before any returns were made. Mr Christopher used an example of a banker who had been paid a £1milliom bonus to illustrate how the alleged scam worked. By parting with around £230,000 the banker would ‘loan’ the rest of the cash from a lender connected to the scheme. As a result he would only pay out the £230,000 rather than the £400,000 he would usually pay in tax as he had ‘lost’ £1million in investment, the prosecutor outlined. Some investors would form groups to invest as a company or LLP. Blakey and Banyard controlled these companies and had ‘complete control’ involving tax returns, jurors heard. Mr Christopher claimed that ‘nothing like’ the amount said to have been being spent on environmental research was actually spent. A company based in Mauritius called Carbon Research and Development Ltd (CRD) was said to have been used to carry out some of the environmental contracts. ‘The prosecution suggest that it was nothing actually more than a bank account operated by a management services company. Up to two hectares of land in Northern Brazil was said to be involved in that company planting of up to half a million trees. Mr Christopher claimed that the defendants lied to HMRC, subscribers and more about exactly what was going on. They were actually ‘window dressing’ certain opportunities rather than acting legitimately, it is claimed. Bascombe, of Ringford Road, East Putney, southwest London, and Banyard, of Dickins Way, Horsham, West Sussex, each deny two counts of cheating the public revenue. Blakey, of South Terrace, Littlehampton, West Sussex, and King, of Oakfield Gardens, Beckenham, Kent, deny two counts of cheating the public revenue and one of conspiracy to commit fraud by false representation. Swingland, of Nash Ash, Canterbury, Kent, denies cheating the public revenue and conspiracy to commit fraud by false representation. The scam allegedly ran between 2005 and 2008. The trial, expected to last three months, continues.